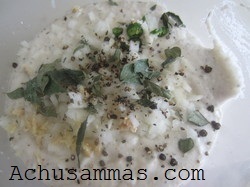 · Grind urad dal adding little water and salt into coarse paste.Don’t add too much water. It would be better if you don’t add water at all. · Pat hands with water and make a ball with the paste.Flatten it and make a hole in the center like doughnut. This is a very nice dish. Excellent appetizer impossible not to like! 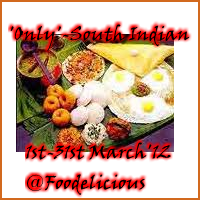 love medhu vada n vermicelli payasam...looks yummy...well made!! 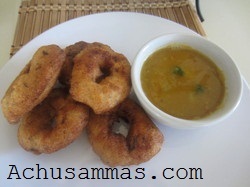 Vadai and sambar, perfect snack..
Hey reena. i love vada n ur clicks r mouth watering. There is an award waiting for you at my space. Do visit. Oh, gosh, these are fried to perfection! They look delicious! 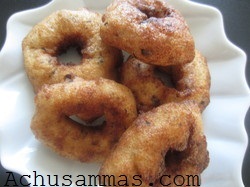 wow... vadas look crispy and perfect... bookmarked..